Charlotte Hornets veteran Nicolas Batum is out indefinitely after suffering a torn ligament in his left elbow, the Hornets announced on Thursday. Batum suffered the injury during a preseason game against the Detroit Pistons on Wednesday night. Last season, Batum averaged 15.1 points, 6.2 rebounds and 5.9 assists in 77 games for Charlotte. 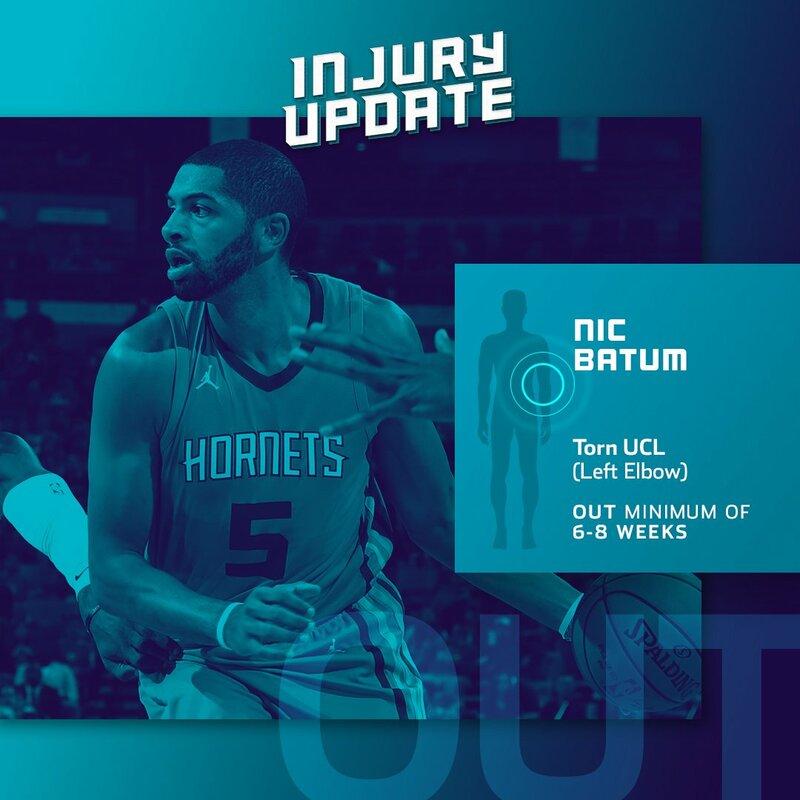 The Hornets expect Batum to be sidelined for six-to-eight weeks. With Batum out, Hornets’ reserves Jeremy Lamb, Michael Carter-Williams and rookie Malik Monk will likely see an increase in minutes.